Twenty four students in years 10, 11 and 12, boys and girls aged 15 to 17, from local schools and colleges came together for the week in the Lennard-Jones building at Keele to work on a research project that aimed to discover exoplanets - planets that orbit other stars - and to characterize eclipsing stellar binary systems. The highlight of their week at Keele has been the discovery of at least one new strong exoplanetary candidate - a Neptune-sized planet in a 19-day orbit around a Sun-like star. The potential planet orbits a star, much like the Sun, that is about 800 light-years away in the constellation of Virgo. The star was previously an anonymous object, about 100 times fainter than you could see with the naked eye. The results of their work are feeding into Keele's ongoing research into exoplanetary systems and binary stars, and some of the discoveries will be followed-up immediately next week by Professor Rob Jeffries [http://www.astro.keele.ac.uk/~rdj], of Keele's Astrophysics group, with spectroscopy at the 2.5-m Isaac Newton Telescope in the Canary Islands. 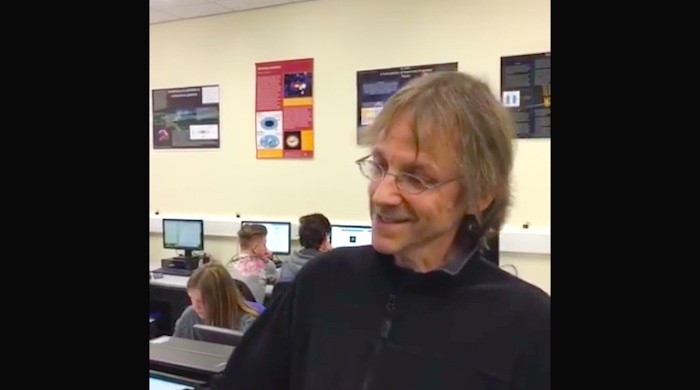 During this week, Professor Jeffries, Dr. Pierre Maxted and the Astrophysics group at Keele hosted "Project Tatooine." A key focus of the project was to search for rare examples of "circumbinary exoplanets" - those planets that orbit around a double star, like the fictional Tatooine from the film "Star Wars." The students carefully examined thousands of light curves: precise measurements of stellar brightness taken every 30 minutes over the course of 75 days by NASA's Kepler satellite observatory. In teams, they characterized the light curves, identified eclipsing binary systems and searched for the elusive transit signals of orbiting exoplanets. They collated their results, produced a final report and delivered a presentation of their work to each other and the Astrophysics group. Professor Jeffries said: "The project entailed the students rapidly assimilating a great deal of new knowledge about stellar variability and astrophysical measurements. They also had to practice and improve many transferable skills: team building, time management, information retrieval, communication and presentation, computing and problem solving. They also had the opportunity to visit the observatory at Keele University." 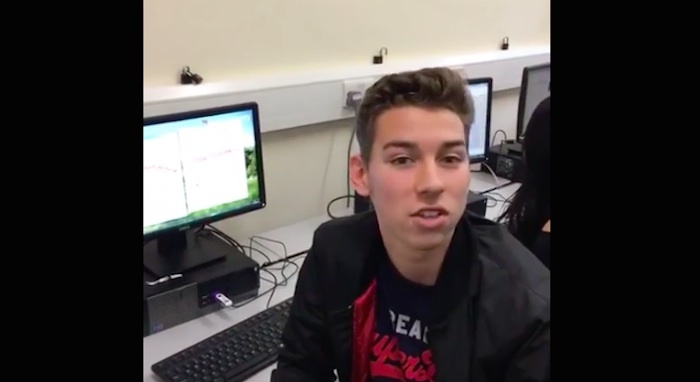 A group of teenagers on work experience at Keele University in Staffordshire may have discovered a new planet. Twenty four students in years 10, 11 and 12, boys and girls aged 15 to 17, from local schools and colleges came together for the week in the Lennard-Jones building at Keele to work on a research project that aimed to discover exoplanets - planets that orbit other stars - and to characterise eclipsing stellar binary systems. The highlight of their week at Keele has been the discovery of at least one new strong exoplanetary candidate - a Neptune-sized planet in a 19-day orbit around a sun-like star. 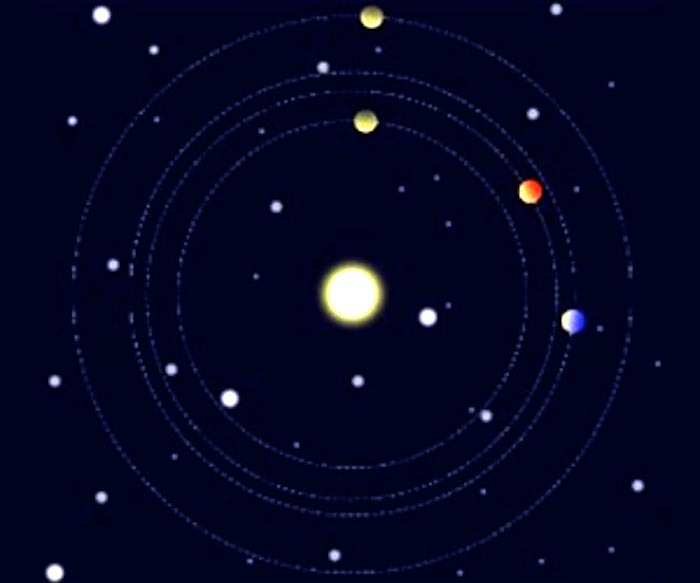 The potential planet orbits a star, much like the Sun, that is about 800 light years away in the constellation of Virgo. The star was previously an anonymous object, about 100 times fainter than you could see with the naked eye. The results of their work are feeding into Keele's ongoing research into exoplanetary systems and binary stars and some of the discoveries will be followed-up immediately next week by Professor Rob Jeffries, of Keele's Astrophysics group, with spectroscopy at the 2.5-m Isaac Newton Telescope in the Canary Islands. 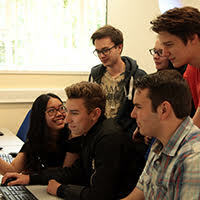 During this week, Professor Jeffries, Dr Pierre Maxted and the Astrophysics group at Keele hosted "Project Tatooine". A key focus of the project was to search for rare examples of "circumbinary exoplanets" - those planets that orbit around a double star, like the fictional Tatooine from the film "Star Wars". exoplanets. They collated their results, produced a final report and delivered a presentation of their work to each other and the Astrophysics group. 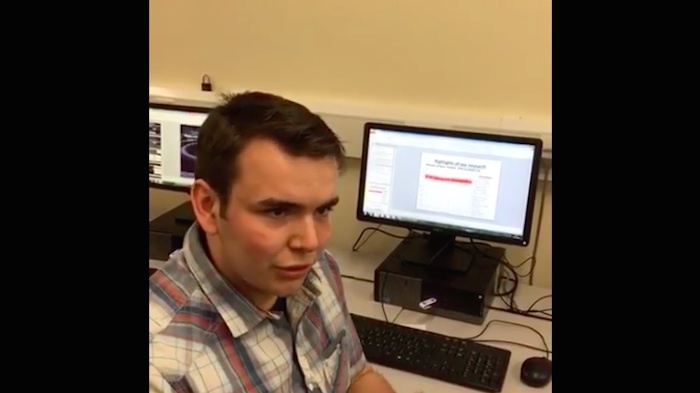 Professor Jeffries said: "The project entailed the students rapidly assimilating a great deal of new knowledge about stellar variability and astrophysical measurements. They also had to practise and improve many transferable skills: team building, time management, information retrieval, communication and presentation, computing and problem solving. They also had the opportunity to visit the observatory at Keele University." 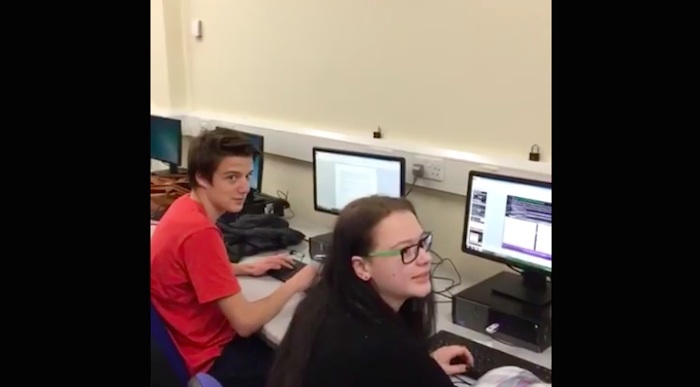 The students worked in teams of six to analyse data, and the team who made the discovery consisted of students from Trentham High School, South Cheshire College, Sandbach School and Congleton School. Josh, 15, who is studying Triple Science at Trentham High School, made the discovery whilst analysing data from thousands of light curves. He commented: "Its been a fun week, and I've met new people, and you'd never do this anywhere else. And because the information is all public, if I want to, I can now go home and do more research myself, and learn more." Whilst Josh and his team were working on writing up their discovery, another student also uncovered some promising data. Rob, from Newcastle College, has also found a potential exoplanet candidate, of a similar size and orbit as the initial discovery. Professor Jeffries added: "We think this is probably another exoplanet candidate. And it's remarkably similar to the first one we found. This one's got an orbital period of about 18 days, and is also about the size of Neptune." 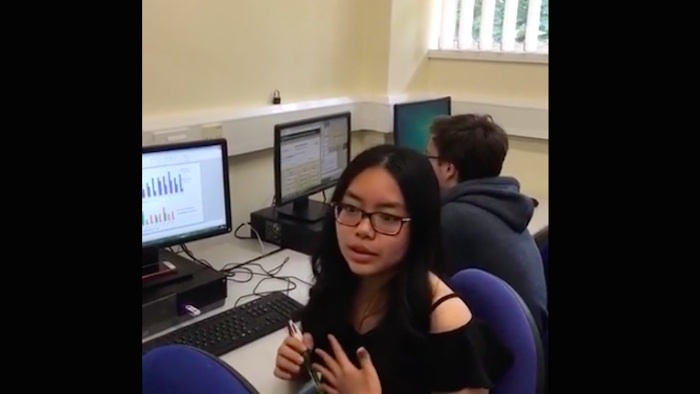 "Many of our astrophysics undergraduate students work on projects associated with data from the Keplar telescope, but also the telescopes that we operate at Keele called superWASP, which is a ground-based experiment which does very similar things, just not with the same precision. So that's very good for finding things the size of Jupiter around these stars, whereas Keplar can pick up things the size of Neptune and even smaller."